As you might have noticed if you've ever signed into your Netflix account while on holiday, the library of TV shows and movies available to you depends on where you are in the world - your choice of content is going to look a lot different in Paris than it does in New York. That's because Netflix has different licensing deals in place for different regions. If you've prepared to flout the site's terms and conditions and install some extra software, you can get access to the (far superior) US selection of programming from the UK. The answer is to use a VPN. To unlock the US catalogue - Family Guy, Mad Men and all - you need to install an application to fool Netflix into thinking your computer is Stateside. There are two main methods you can opt for, which differ slightly in their approach and the effect on your devices. A Virtual Private Network (VPN) is the most comprehensive option: sophisticated software is used to route traffic through a remote server somewhere else in the world. Using a VPN makes it more difficult for someone to 'spy' on you or see your real location, but unless you're paying for a premium service your internet speeds can be affected. Some VPNs are difficult to configure for other devices besides your computer. A DNS changer or DNS proxy changes the Domain Name System settings on your computer or your router. It's typically a simpler, quicker option, but the connection isn't as secure. You get the benefit of faster speeds (as there's no encryption) and - most of the time - there's an easier set up process for the other kit on your home network, but VPN is the more advanced solution. In both cases, you really need to find a service you're prepared to pay for. Dodging geo-restrictions is something an awful lot of people want to do, and where the crowds go the criminals follow - most users are going to be attracted to the free options, some of which can contain spyware and malware. Even if they're safe to use, free utilities are often less stable and slower than the paid-for options. One of the best options for watching Netflix that we've come across is DNS shifter Unblock-Us: you can get it working in minutes, it doesn't involve any advanced configuration methods, and it's specifically designed for using with the major streaming content portals. You do have to pay $4.99 a month (about £3) but you can try it out for a week for free. Unblock-Us provides a comprehensive list of setup guides that take you through the setup process on everything from a PS4 to a Sony smart TV - you have the option of configuring it to work on specific devices or on your router (so every device in your home gets the benefit). A more advanced VPN service is also available. In the case of Windows, you can change your DNS settings yourself or download a special utility to do the job for you: if you choose the former option you need to head into the Network & Internet section of the Settings app, pick your internet connection, then select Change adapter options. Open up the Properties dialog for the adapter with a right-click and you can enter the DNS values specified by Unblock-Us. After that, you're good to go - the Unblock-Us service will automatically recognise your computer (or your iPad or your Android phone) and make the necessary adjustments. Through the front page of the service website you can pick your region, and that's all there is to it - enjoy Netflix from the US or any other country in the list of supported regions. As we've already intimated, Unblock-Us is far from your only option. A lot of people (around 55 million, apparently) make use of Hola: it's free, it works as a browser extension or an app on Windows, Mac, Android and iOS, and it's simple. There have been suggestions that Hola's peer-to-peer technology isn't entirely safe, suggestions that Hola itself refutes. Hotspot Shield is another popular choice, but if you don't pay you have to put up with a lot of advertising along the way. 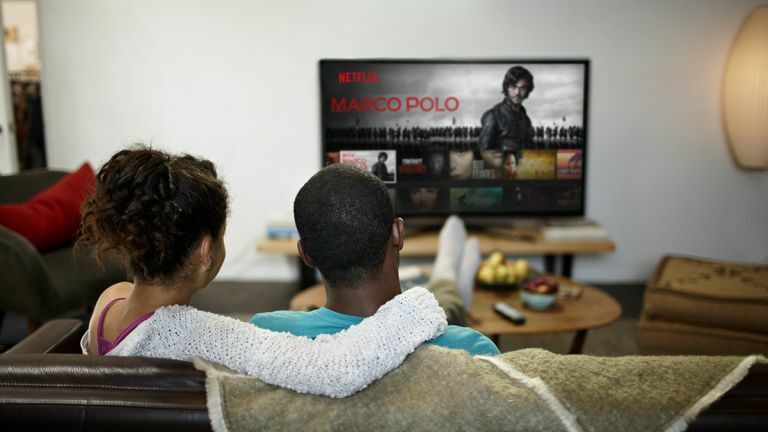 It is possible to watch Netflix in a different region without paying anything, but there's usually a trade-off: speed, reliability, security or some other aspect of the service. If you are prepared to pay then MediaHint is worth a look: as with Unblock-Us there's a week's free trial available so you can see if it suits you before shelling out $3.95 (about £2.50) a month. Like Hola it works as a browser extension and you can switch it on and off with a click - it's comprehensive, speedy and easy to use. With these services - and Netflix's attitude to them - changing all the time, it's worth doing some research before you sign up for one or the other. But once you do settle on a VPN or DNS service, setup is usually very straightforward, which means you can be tuning into Netflix US in a matter of minutes from all of your devices.